Before my conversation with Lena Waithe begins, I issue a warning. She is, after all, the creator of Showtime’s excellent The Chi, a fictional series about Chicago’s South Side. Waithe laughs mightily at my plea to keep the innocent and charismatic Papa free of harm. Charmingly portrayed by Shamon Brown Jr., he’s one of the three preteen black boys through which we see the neighborhood. What Waithe has done is create characters so tangible they feel like family. She gives an episodic answer to the “What about Chicago?” crowd. In The Chi, Waithe gives us family that you want to protect, support, and keep safe and sound. Her series takes much of what we loved about HBO’s groundbreaking The Wire and shifts focus to spotlight the very real people behind the very real headlines that we see — or don’t see enough. The Chi just ended its inaugural season’s run, but it’ll be back for a second season soon. But Waithe? She’s just beginning. Like for real, for real. Lena Waithe turns 34 soon. She’s been working steadily in Hollywood since graduating from Chicago’s Columbia College in 2006, and she’s worked for some of the most prominent black female directors in the business — Ava DuVernay and Gina Prince-Bythewood have both been bosses — and in 2011, the S— Black Girls Say video series went viral. The much-debated sensation was written by Waithe. So much of Waithe’s story stems from her own personal life — on her willingness to live out loud and stand in her own truth as a black lesbian. Last year, she became the first black woman to win an Emmy for outstanding writing for a comedy series for her work on Master of None; the “Thanksgiving” episode of that series mirrored her own experience coming out to her mom. But Waithe is not just talent. She’s a creator, someone who is passionate about representation and progression. And she has heavy hitters in her corner, like Spielberg, the legendary director who hired her for her most recent role, as Aech/Helen in Ready Player One. Much of her journey is about inclusion. In this season of The Chi, the series introduces us to one of the families on the South Side that is made up of two mothers, a teen daughter and a preteen son. It was subtle, and it quietly helped normalize a nuclear family that’s headed up by two lesbians in love; it wasn’t that episode’s central focus. It just was. And that’s important to Waithe. Waithe said something very similar and poignant to that room at the Essence luncheon earlier this month. It pierced the crowd and resounded loudly to a group of mostly black women, who were already emotionally laid out by the electrifying speech on beauty and acceptance that Black Panther’s Danai Gurira, who also was honored, had delivered earlier that day. Waithe wants everyone to experience the authenticity she’s living right now. You can’t create a moment like the Thanksgiving coming-out episode inside of a black family unit, she says, without a willingness to be vulnerable. Waithe can’t say enough about this idea of unveiling and revealing. Because she doesn’t want to be out here alone. She doesn’t want to be the only revolutionary out here with a megaphone. It’s lonely. 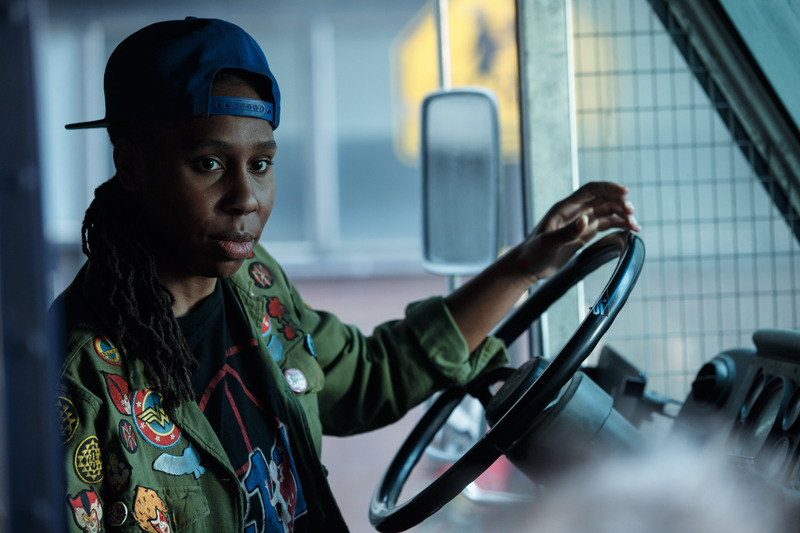 Lena Waithe as Helen in Warner Bros. Pictures’ Ready Player One. And now we have Lena Waithe the actor. It’s not a space that she had designs on. But she’s being asked to come in and read for parts, as with Ready Player One, and being cast in shows like NBC’s emotionally gripping This Is Us. Casting directors are calling her people and asking for her as front-facing talent. She has, in fact, a seat at the table. All of the tables. But she’s using her newfound power for good. And her mission is clear: help writers of color. She’s making sure a diverse group of writers has access to writing classes, and she’s all about making connections. Waithe is already thinking ahead to the next season of The Chi. Common executive produces, and Ayanna Floyd Davis has signed on for season two as executive producer and showrunner. The show will go back into production later this year. Because telling stories, stories that don’t often get told, is what Waithe does best. So long as Papa survives. Please?